The R-Class is a curious offering from Mercedes-Benz, mixing elements of luxury saloon, large MPV and SUV in one package. The R-Class is a curious offering from Mercedes-Benz, mixing elements of luxury saloon, large MPV and SUV in one package. That combination might make for a potentially interesting and practical fusion, but the R-Class has universally failed to attract the attention of buyers worldwide. That does make the few that are on sale look like excellent value, for families wanting a large, prestigious and practical car. Merc's R-Class might have been aimed at the family car market, but the price and size mean its engines are all firmly in the prestigious sector. Both the petrol and diesel models use V6 engines: the 320 CDI and 350 CDI are 3.0-litre units and the R 280 and R 350 are powered by 3.0-litre V6 petrol engines. The R-Class was also offered in R 500 guise powered by a 5.0-litre V8 and, astonishingly, as an AMG model, with the R 63 AMG model featuring a manic, high-revving 6.2-litre 510hp V8. You’ll not find any of those in the Carzone classifieds, though. Adding even more choice to the mix is the possibility of regular or long-wheelbase models, the longer car adding around 23cm to the overall length. Early examples were all 4matic four-wheel drive models, but later in the series Mercedes-Benz offered the R-Class with just rear-wheel drive on certain versions. Seat configurations include five-, six- and seven-seat choices. Six-seat layouts give the most opulent experience as a passenger, with individual chairs for very occupant. The rearmost seats fold away when not in use. All come equipped with a seven-speed automatic gearbox as standard. Equipment levels are high in all, with even base models featuring air conditioning, alloy wheels and remote central locking among the extensive standard equipment list. Post-2011 cars feature a revised look, with a new grille and re-profiled headlamps. Some petrol examples are available in the classifieds, but it’s the diesels that make the most sensible used buy. The 320 CDI model offers excellent all-round performance. No R-Class is slow, with all managing 0-100km/h time of under 10 seconds and the 320 CDI combines that with good overall economy. Long or short wheelbase depends on your specific needs, but they’re both vast, regardless. The R-Class is an unconventional choice that might not have been a sales success, but it offers a huge amount to the well-informed used car buyer. 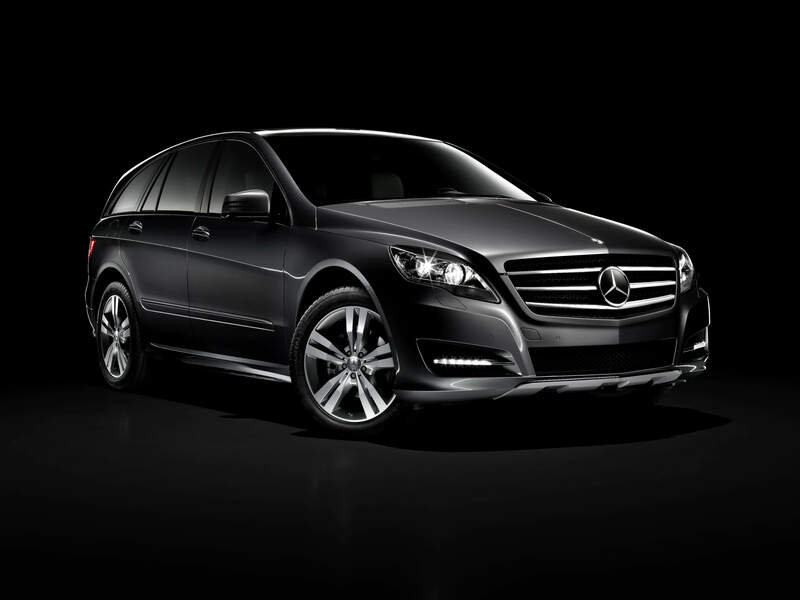 It has all the prestige you’d expect from Mercedes-Benz, in a hugely versatile and practical package. They’re surprisingly inexpensive to buy too, certainly in comparison to SUV offerings wearing upmarket badges. Well worth a look.